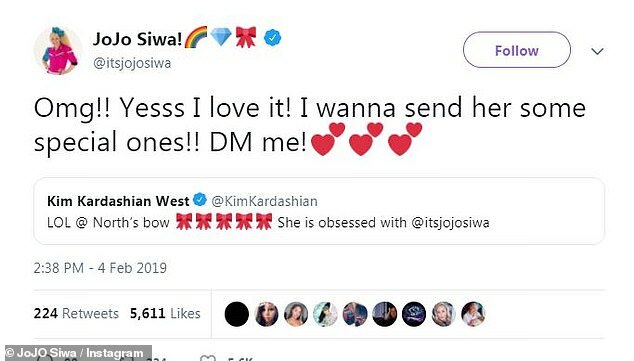 Kim Kardashian’s daughter, North West, is teaming up with teen sensation, JoJo Siwa, to star in a YouTube video together. 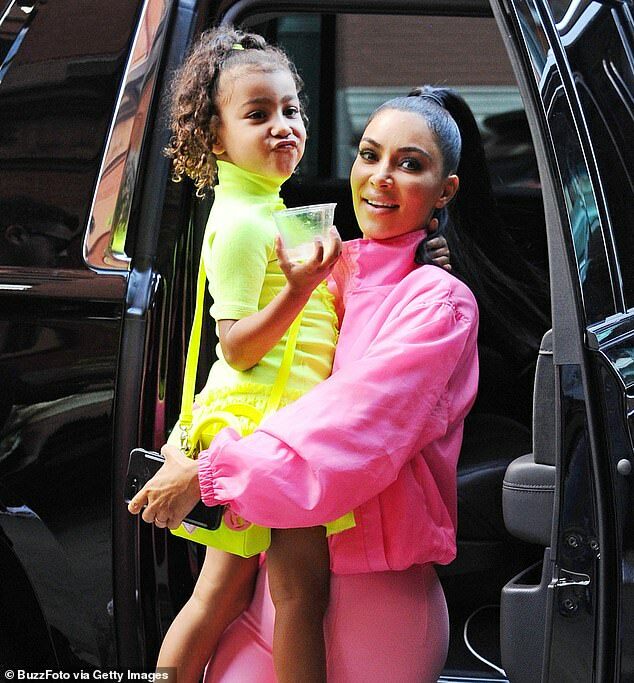 The idea was sparked, in part, because North has been a huge fan of the 15-year old singer and dancer, who’s known for wearing large colorful bows in her hair. ‘LOL @ North’s bow. She is obsessed with @itsjojosiwa,’ Kim tweeted February 4. The 15-year old star was more than excited when she saw the initial tweet from Kim K. ‘Omg!! Yesss I love it!’ Siwa gushed in her reply, and then promised to send North a bunch of her merchandise in the mail. ‘I was like, if she ever wants to do a video or you want me to come surprise her, I would love to do anything fun. Here’s my number. Text me,’ JoJo said about one particular communication with Kim. Kim also revealed on social media that North was able to chat with her idol on the phone. ‘North just FaceTimed @itsjojosiwa and her life is made!!!!! !’ along with three red bow emojis.